A Boy or Girl? Wait and See! In about three months, I will be an Auntie!! My sister and brother-in-law are expecting their first child and have decided to wait until the birth to know if it will be a boy or a girl. I can't wait! 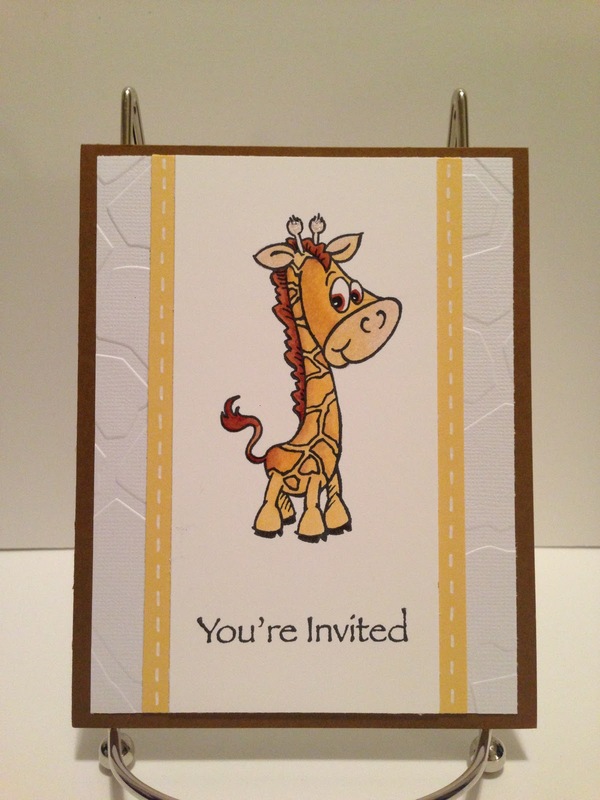 They decided on a giraffe theme for the nursery, so for the baby shower invitations, I wanted to do the same. 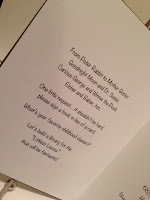 The invitations turned out pretty cute, I think. It was my very first project trying out my Copic markers. I added diamond stickles to the tip of the horns to add a touch of sparkle and white gel pen stitch marks to frame out the yellow layer. The baby giraffe stamp and sentiment are by Stampendous. 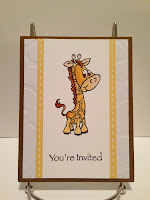 I used Gina K Designs pure luxury heavyweight cardstock in warm cocoa, sweet corn, and white; the layer of white textured cardstock is embossed with a giraffe print. 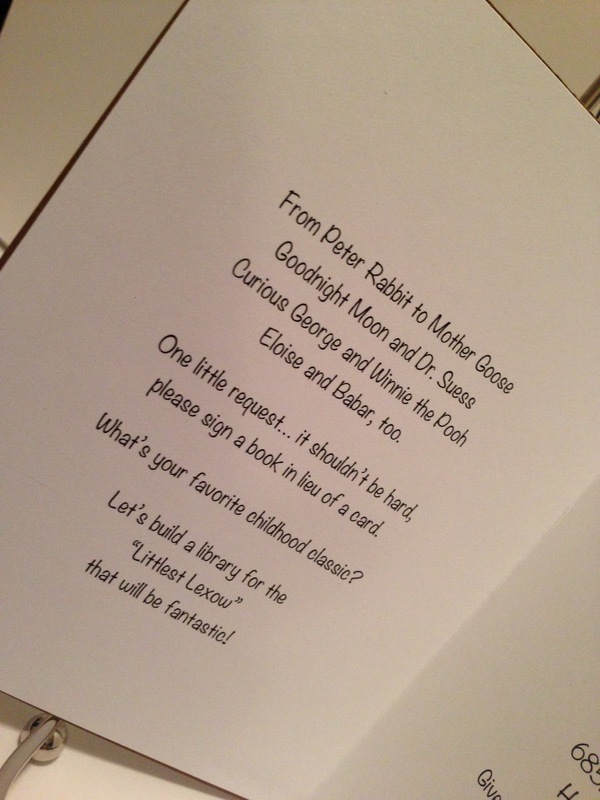 Across from the event information, I added a cute saying about signing a book in lieu of a card so we can begin a library of childhood classics.